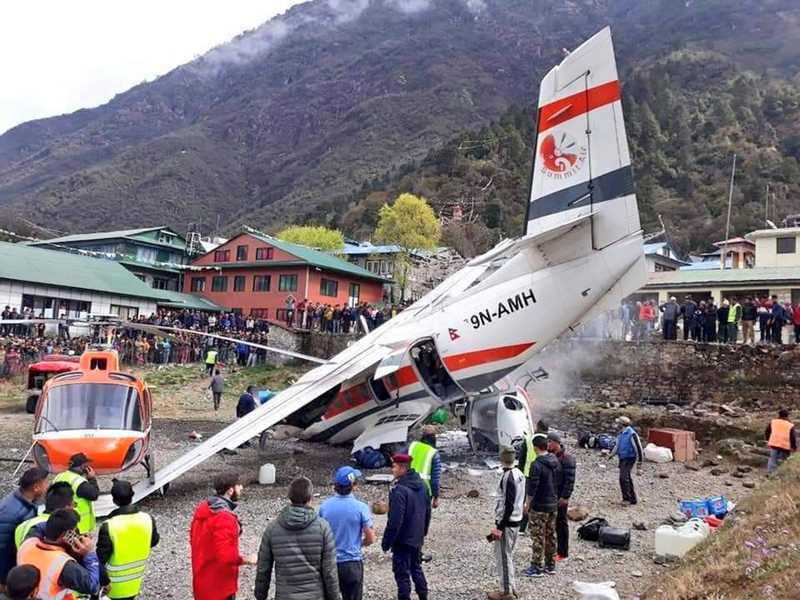 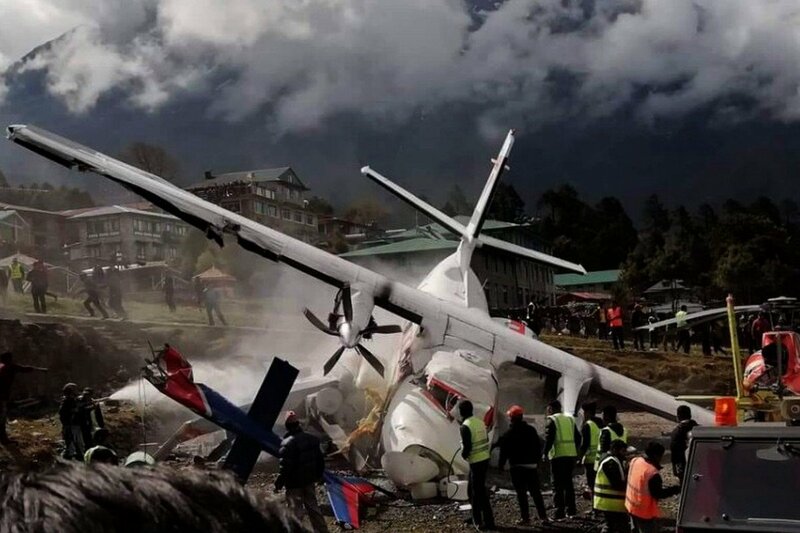 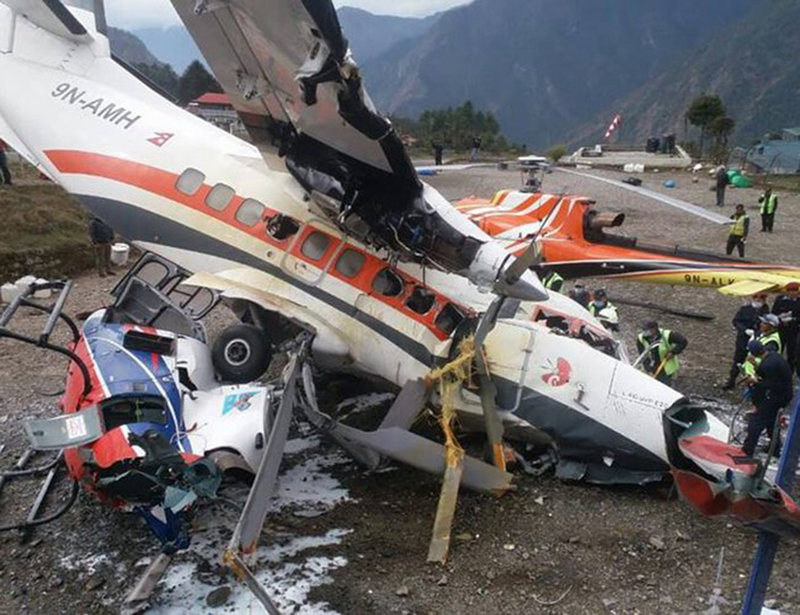 The airplane was apparently carrying four passengers and a crew of three for Kathmandu. 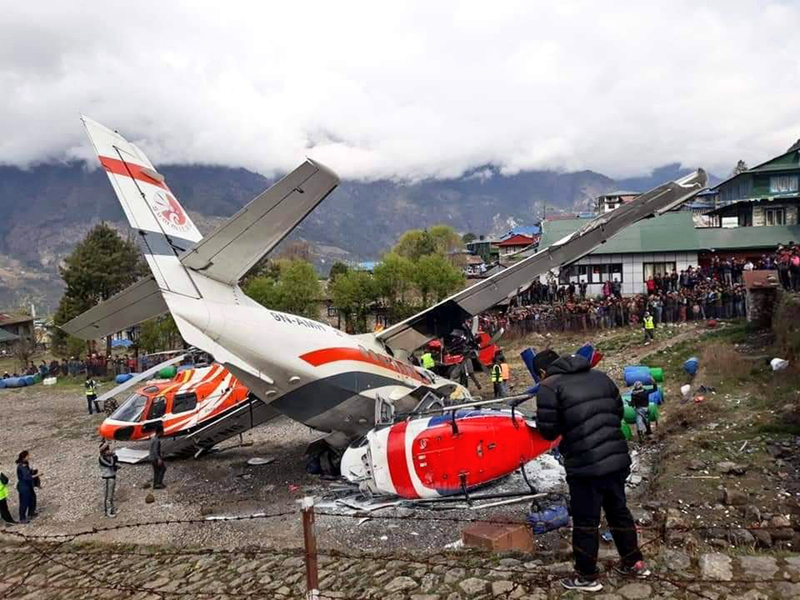 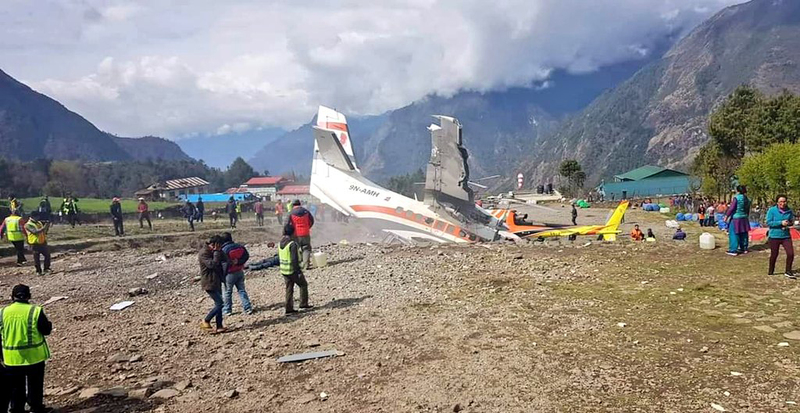 While taking off from runway 24, after a course of about 100 meters, the airplane veered off runway to the right and crashed on two parked Eurocopter AS350 registered 9N-ALC and 9N-ALK. 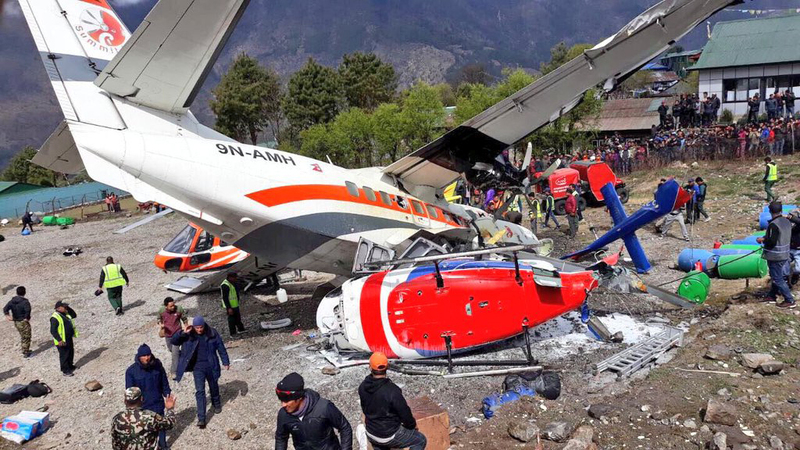 The copilot of the Let 410 was killed as well as two people on the ground, among them a police officer. 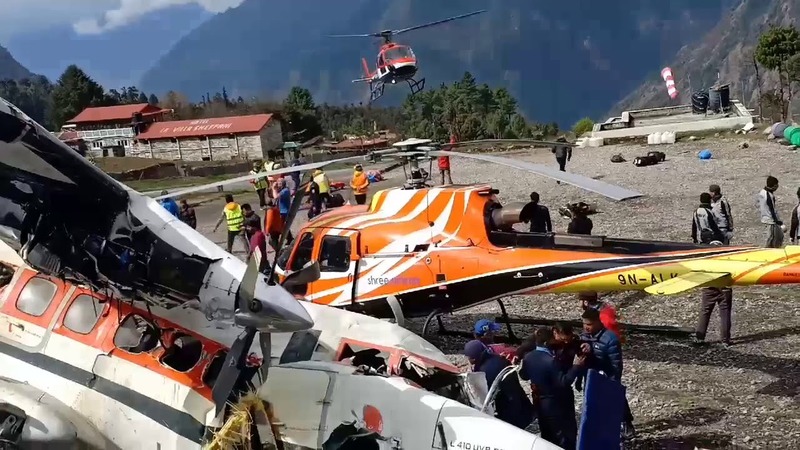 The pilot of the helicopter 9N-ALK was seriously injured and evacuated to hospital. 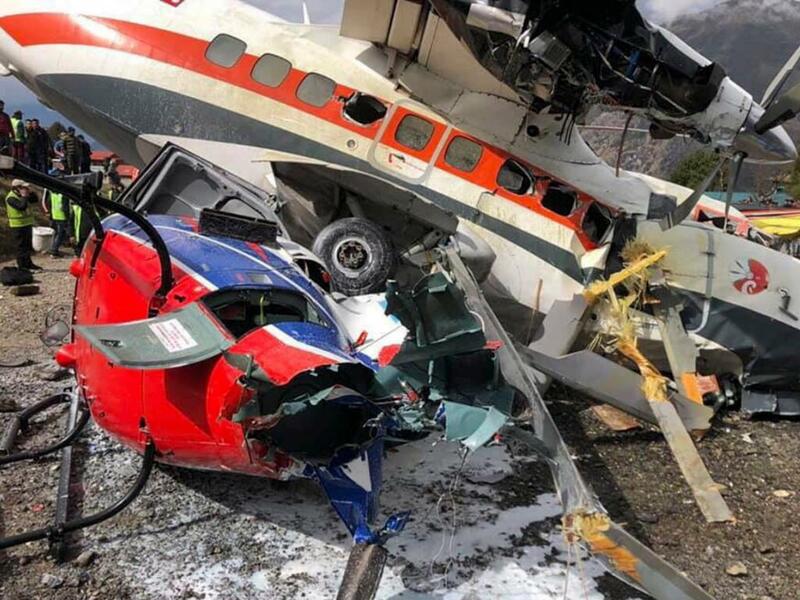 All other occupants were treated for minor injuries.